We love Mrs. Meyer's. We reviewed them back in August. Read the full review HERE. We are so excited to host a giveaway for their Clean Day All Purpose Cleaner!!! The living room which is also the play room. For sure the bathroom. I have two boys in my home. Enough said. I would say the kitchen! 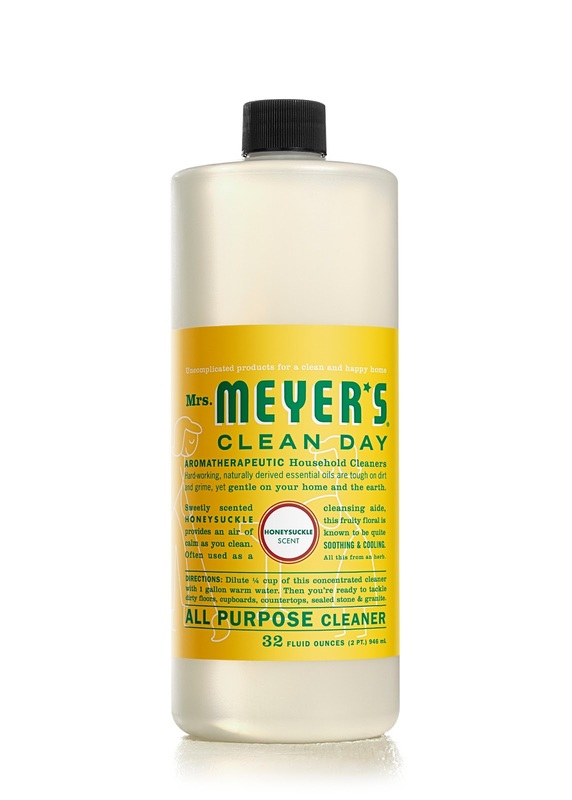 I love Mrs Meyers hand soap and dish soap, but haven't tried the All-Purpose Cleaner yet. It's always the bathrooms or the kitchen. It never ends! I think it's the kitchen! My bathroom especially the tub could use some extra cleaning today. I have boys, so the room that needs the most extra help is the bathrooms! My bathroom could use the help. Right now? All of them! I 2 have a 2 year old who likes to strip down and run around the house!